Now, you will have noticed that when it comes to wet-shave razors, you’ll only really see Wilkinson Sword on Manface; why? Because they’ve been my weapons of choice since starting with the Hydro3 and I won’t be moved; they’re the best. 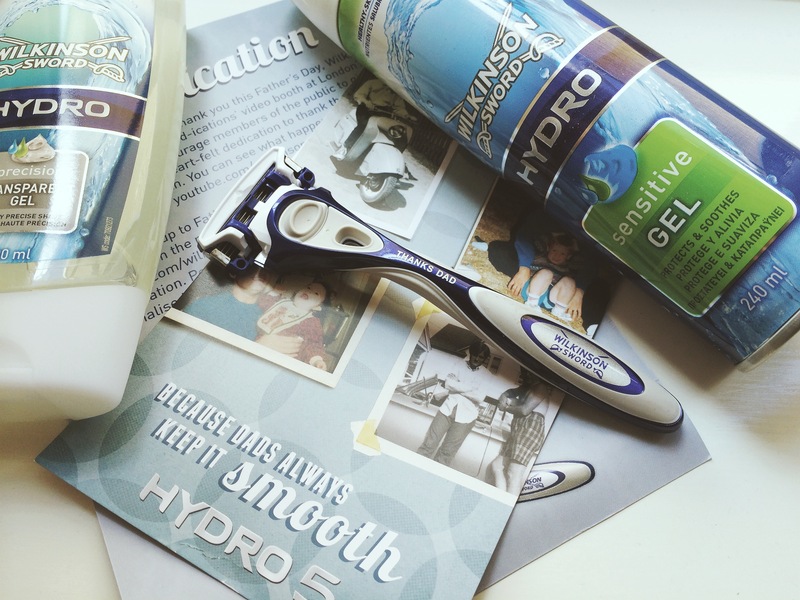 The Wilkinson Sword Hydro5 is the best razor in existence. So this Father’s Day, rather than just putting a moustache motif on some naff box plastered with ‘Happy Father’s Day’, Wilkinson Sword have gone above and beyond, commissioning a study into the nation’s relationship with their dads. I was shocked by the results as I’m very open with my step dad, but from time to time saying “I love you”, I don’t know, feels, odd? It’s not that I don’t mean it, because I really do and I’m anything but macho, but sometimes it doesn’t seem like the ‘manly’ thing to do. As well as setting up a ‘Dad-ications’ video booth at London’s Southbank, Wilkison Sword are giving you the last minute chance to win a personalised Hydro5 Razor; the perfect gift for Father’s Day. Make sure you get him something he deserves this Sunday and show him how much you love him; and for god’s sake give him a hug! This article first appeared on MANFACE written by Thom Watson. It was published on Tuesday 10th June 2014 and was last updated on Monday 3rd April 2017 at 2:02pm. It's categorised under Shave, Wilkinson Sword where you'll find more related content. What a naff object. I am surprised at your lapse of taste, Thom. Ha! I understand where you’re coming from and in all fairness, it’s not the prettiest piece of kit going, but, and I must stress this, it’s the best goddamn razor I’ve ever used. I’m prone to appalling skin irritation and this stops the lot. Thom, cara mio, I use the 3-blade one (don’t know what it’s called because it’s in a Trumpers handle) but I’m getting e-mailed by Gentlemans Gazette telling me of the benefits of shaving soap and a brush. I’ve never tried it. Have you? I’m asking because, well, you’re the expert! Shaving soap *blows raspberry* but a brush, DEFINITELY! I’ve taken to using LUSH Prince Shaving Cream and after smothering my face in it, use a badger hair brush (The Body Shop do a cruelty free brush if that bothers you) and massage it in. It softens the hair, gets the lubricating cream/gel/foam everywhere and just makes for a better shave! Thom, thanks for that. I never thought of using gel or foam with a brush! I use Champneys Spa Essentials gel at the moment and it’s brilliant, so, just to prove I actually do follow some of your advice I will be off to the local Body Shop for a badger brush this afternoon. If I want something I must have it NOW! You know the feeling..?